Like any other boring wettish day, I look to Pinterest for inspiration. It’s mostly home stuff, fashion items, food, but sometimes… it’s places I would like to be and things I would like to do. I mean seriously, can we watch The Dark Knight in preparation for Batman tomorrow, here - ? Is that too much to ask? 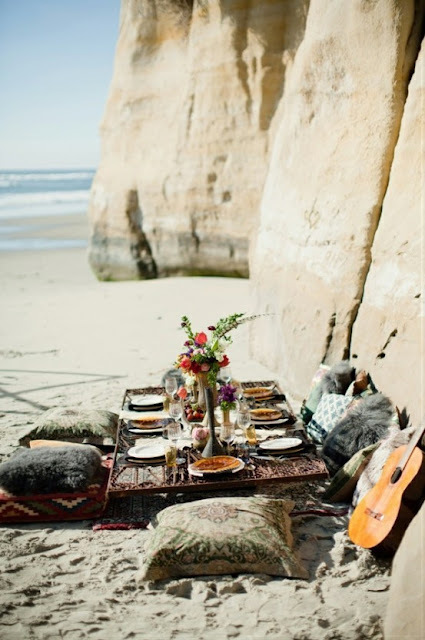 I don’t even want to be on holiday, abroad, on the beach (okay, maybe beach picnic would be nice too – see below) … just in a big garden, snuggled up with a glass of wine under stars. I want to be sitting on that little cosy looking chair eating those delicious looking popcorns and feeling the breeze in my hair. Tonight. Tomorrow, seeing as the weather will be getting better here in London, a brunch with my most loved people (you know who you are) here - . If you do/did/planning to do something of the sort, you mustn’t tell me. I will be too jealous. P.S. Don't let me go on about this, but remember to enter the give-away in my previous post. First picture a dream one. but better for a romantic story. I prefer to see BATMAN in cinema with all flavors! That first picture is HEAVEN! 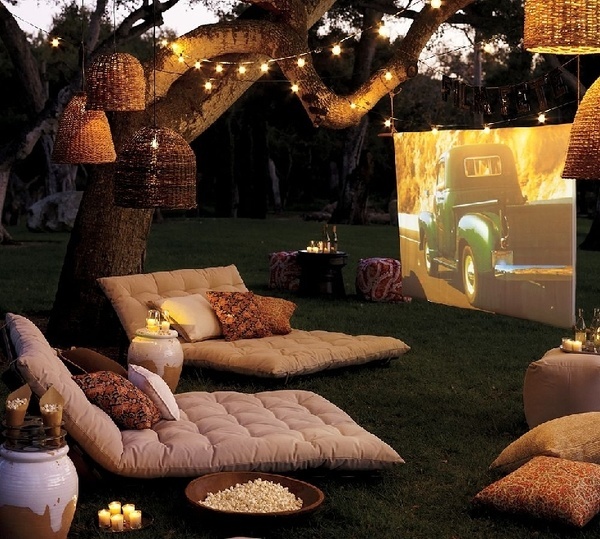 I'd love to do something like that in our backyard! 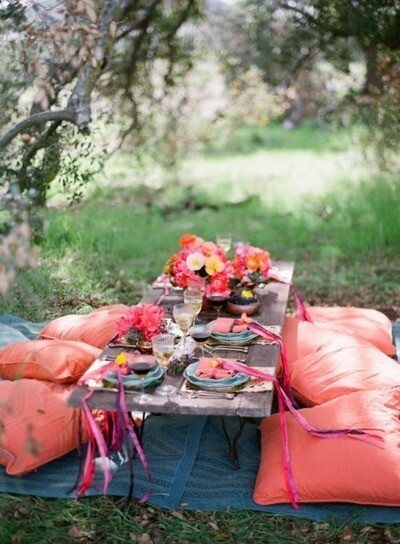 Great pics...Love the last one... wanna have such a table and decoration!